Designer style elegance with performance to match! 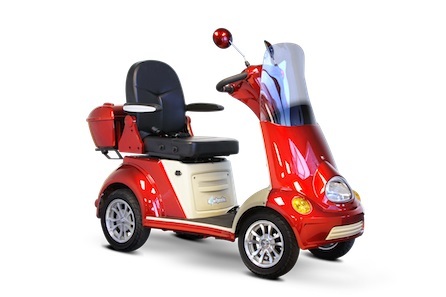 This is the most powerful four wheel scooter in the USA! 15 mph max speed, 45 mile range, 500 lb weight capacity, digital dash, 3 speaker stereo system, cruise control, locking cargo Box , alarm system, remote key fop and Shipped Fully Assembled.